In the last two months Lumag had the opportunity to host representatives of four subsidiary companies belonging to the biggest Swiss automotive parts distributor SWISS AUTOMOTIVE GROUP (SAG) with headquarters in Zurich. SAG is not only an active member and a shareholder of the international distribution group ATR, but recently also Lumag`s new client. 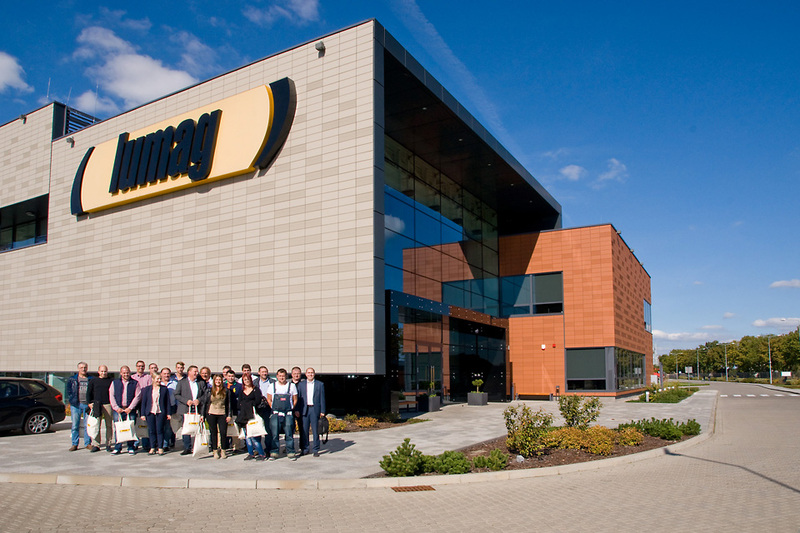 Nearly 60 people in four groups from: Austria, Belgium, Slovenia and Switzerland, representing primarily sales departments and product management came to Budzyń for trainings. In all the above mentioned markets, SAG has achieved a leading position in the commercial vehicles parts market, among others, thanks to a tough assortment policy and courageous decisions about choosing new suppliers. For the most of the visitors it was the first business contact with an Eastern European producer. During the stay at Lumag, the guests took a very detailed training on Lumag brand Products as well as they could get to know the company organization and culture of work, friction materials production processes, ending with a visit in the Research and Development Centre.